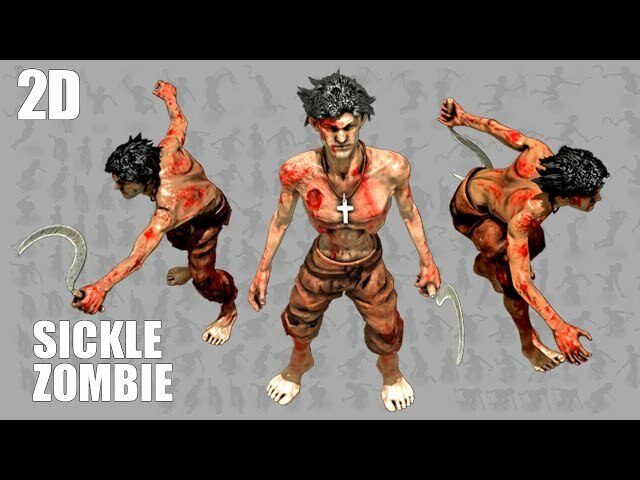 2D character Zombie Man with a sickle. Character is about 120 pixels height. Blood and dust effects added. Character can be used as a man, mad mad, sextant, zombie, warrior. Also exported for UNITY game engine. Packed into sprite sheets using TexturePacker. Packed very efficiently into PNG sprite sheets. Prefabs created. To see animations just open scene and press play.